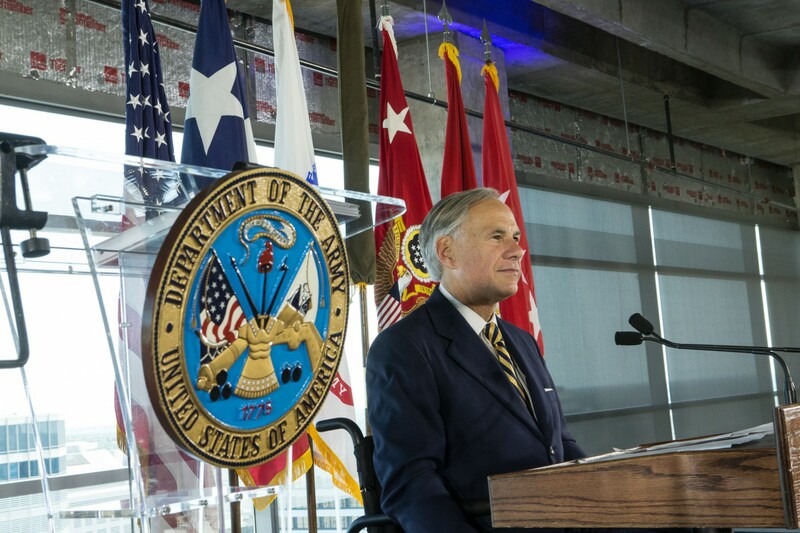 Governor Greg Abbott today joined U.S. Army officials, as well as state and local leaders, for the Activation Ceremony of the new U.S. Army Futures Command in Austin, Texas. This new facility will assess the future operational environment, emerging threats, and new technologies in order to develop and deliver concepts, requirements, future force designs, and modern materiel solutions to meet our Soldiers' wartime needs. Austin was selected by the United States Department of Defense in July as the home of the Army Futures Command following an extensive consideration process. The Army Futures Command is the forefront of the Army's modernization effort. The new headquarters are located in the University of Texas System Building and will have a staff of 500 people that will include both active duty military and civilians personal. The Army Futures Command will be led by four-star general Lt. Gen. John M. Murray. Lt. Gen. John M. Murray most recently served as deputy chief of staff at Army Headquarters in Washington. Murray has previously held leadership positions serving in Operation Iraqi Freedom and in Afghanistan. He has also served as director of Force Management at the Pentagon, and director of the Joint Center for Operational Analysis for U.S. Joint Forces Command.